What’s up? Can’t talk. Text. Maybe this all sounds like a gimme. Of course millennials prefer to text and use social media. Besides, for a general cellphone user in 2018, answering phone calls every day is about as common as writing checks and is similarly regarded with apprehension and suspicion. So, if this is the case, why are there literally hundreds of articles and blog posts and advertising seminars on how to market to millennials? The answer is that, although we all know what millennials like and why, it’s difficult for most businesses to break into millennial marketing. Advertising online is difficult, expensive, and time-consuming. Even if a business owner understands what to do on Instagram and Google Ads, it becomes a budget-juggling game. The question isn’t really how to market to millennials; it’s how to market effectively to millennials. And the answer is simple, affordable, and hands-off: text them! EquiiText uses automatic responders that operate under an artificial intelligence engine. That’s a fancy way of saying that once you setup your SMS platform with personalized answers that respond to questions texted in by your customers, you can sit back and let your marketing handle itself! Pay only for what you need with super competitive prices that ensure you’re not breaking your marketing budget. Millennials aren’t a hard generation to crack. Actually, we tend to be quite simple! We love when things are easy and convenient, which is why using text messaging to interact with us as customers is not only satisfying for us, it’s rewarding for you! The average text message is opened within 4 minutes of being received. 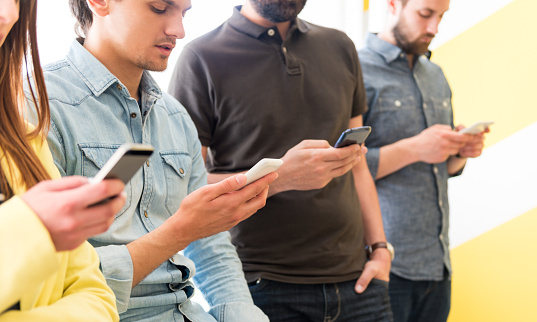 How many millennials can you get to interact with your business today with a simple SMS?